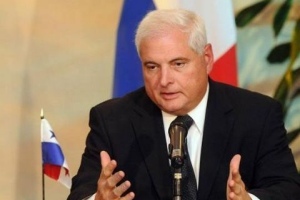 Martinelli – blessed by the Obama Administration last year with a Free Trade Agreement in part based on an evaluation of Panama’s democratic institutions – is “tearing down institutions,” stacking the Supreme Court, and apparently steering government lucre to build a parliamentary coalition that made the national assembly into a rubberstamp of his agenda. O’Grady points out that this amounts to “the erosion of Panamanian pluralism” and compares him with Venezuelan President Chávez. This portrayal of Martinelli’s leadership is not unique – it is well documented – but official Washington’s embrace of it would be. The authoritarian tendencies of some ALBA presidents have been well publicized and, at times, exaggerated, but rightwingers with similar tendencies often get a pass. In this context, such comments in the Wall Street Journal are significant. For now, no regional institution and no major democracy, including the United States, has threatened sanctions against Martinelli. Last week, the State Department announced that some assistance to Nicaragua will be suspended because of poor progress toward achieving transparency in government budgets – precisely one of the areas where Panama has experienced egregious backsliding. Sanctions against Martinelli, however, seem remote. Latin American leaders at times have bridled at the double-standards of external criticism more than at the sanctions themselves. O’Grady’s commentary challenges the State Department to send a message to the region that its “democracy promotion” agenda applies to conservatives as well as those it often categorizes as on the Left. Honduras Adopting Failed Counternarcotics Model?